In its fifth year, BB&T Atlanta Open has secured two new, exciting players with Top 20 credentials: Sam Querrey and Gael Monfils. This will be the first time either player has competed in the BB&T Atlanta Open, which runs July 19-27. On Monday, March 3, coinciding with World Tennis Day, Weeklong Ticket Packages will go on-sale. Weeklong Ticket Packages include a ticket to all 11 sessions at Atlantic Station. Four different seating levels are offered and packages are priced as low as $35/ticket. Tickets will be available for purchase at www.bbtatlantaopen.com or by calling 404-941-9202. March 1 with your discount code for a 10 percent discount on Platinum and Gold Weeklong Ticket Packages. Sam Querrey is America's No. 2 player. Gael Monfils won this year's Montpellier tournament. Californian Querrey, a former top 20 player, rose to No. 17 in 2011. The lanky, 6’6” player carries a bundle of ATP World Tour titles; Querrey has won three crowns in Los Angeles, along with London/Queen’s Club, Memphis, Belgrade and Las Vegas. Always a threat in any tournament, Querrey has also made five finals on the pro tour. In addition to his singles game, Querrey has also committed to playing doubles. 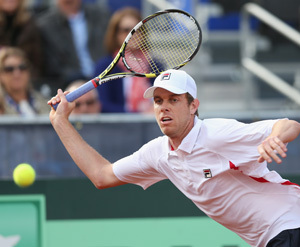 Querrey has won four doubles titles, playing with reigning champion John Isner twice, and once with two-time Atlanta winner Mardy Fish and newly-retired and former BB&T Atlanta Open competitor James Blake. The Davis Cup player has also reached finals on American soil in 15 cities out of his 20 appearances. Native-born Parisian Gael Monfils has a unique background with parents hailing from the islands of Guadeloupe and Martinique. Also known as the “Flying Frenchman,” Monfils’ acrobatic leaping and athletic ability is a main-stage show all by itself. His skyrocketing style got him to No. 7 in the world just three years ago. Coming back from injury, he has used the last six months to rise from No. 106 to No. 23 in the world, with his latest victory earlier this month at the Open Sud de France in Montpellier. 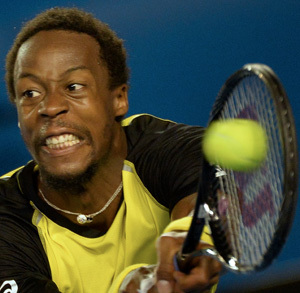 Monfils has reached 21 singles finals and taken in more than $7 million in prize money. His five tour victories have come in Montpellier (twice), Stockholm, Metz and Sopot. His only two loses in 2014 tournaments are to No. 1 Rafael Nadal. Monfils battled for three sets before losing the Doha final to the famed Spaniard. Gonzalez also promises more players of note will be in the main draw. The addition of Querrey and Monfils will not be the only debuts for the July event, he predicts. With a new emphasis on themed days and nights, the following tentative events are in the works: free concerts in Central Park, the annual “Tennis Night on the Town” fundraising dinner to benefit the YMCA, Kids Day, Military Night, College Night, 80’s Night, Ladies Day, ALTA and USTA Night and Fan Appreciation Day. Military Night, College Night, 80’s Night, Ladies Day, ALTA and USTA Night and Fan Appreciation Day.